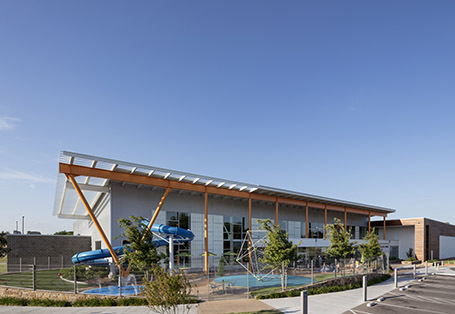 The YMCA of Greater Tulsa and The University of Oklahoma Schusterman Health Center developed a partnership to create the new Tandy Family YMCA, designed to help transform the health of the community. The makeover is a combination of the renovation of the existing Thornton Family YMCA and a new 48,200 sq. ft. expansion, ultimately resulting in a 96,000 sq. ft. facility. 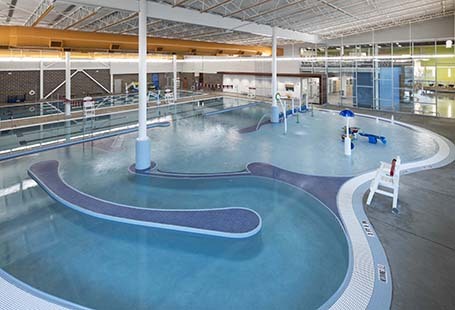 Within the facility is a YMCA, as well as sports physical therapy and medical clinic, which are seamlessly integrated, allowing both YMCA members and patients access to a unique blend of sports therapy, patient care, and health and wellness services. 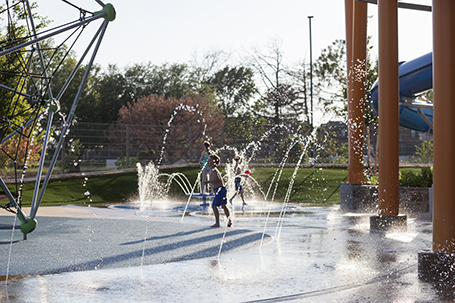 The center boasts an outdoor splash park integrated with a dry play area, and an indoor aquatic center with program elements for fitness, therapy, and fun. 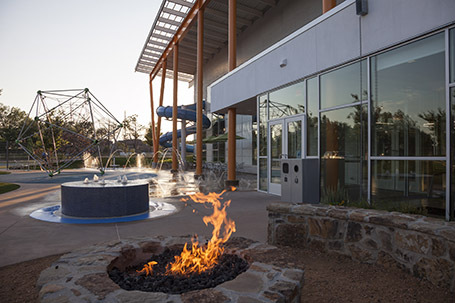 The building also includes a complete fitness and wellness center, gymnasium, multi-story climbing wall, multiple studios, nutritional kitchen, child and family adventure spaces, and multi-use community rooms for the various programs of the YMCA and The University of Oklahoma.